Femi Ibirogba report the activities of the Odunwo of Ondo kingdom, High Chief Olabanji Akingbule, who has committed millions of naira and returns on his 5 million Nigerian Breweries shares, among others, to annual scholarship and merit awards. THE Odunwo of Ondo kingdom, High Chief Olabanji Akingbule, is one of those who really believe that qualitative education is the only sustainable legacy that could be bequeathed to the younger generations and he dedicates to himself this belief by committing his resources to annual scholarship awards to indigent but brilliant students of Ondo State, while also planning to extend the gesture to all Nigerians. Chief Akingbule, through his foundation, High Chief Olabanji A. Akingbule Foundation, has been contributing to the development of education through awards of scholarship, at least 100 students annually since 2002. High Chief Akingbule said returns on his 5 million shares in the Nigerian Breweries are used to augment the funds he made available for the foundation and that there were plans on ground to continue the scholarship for centuries after his exit. According to the 88-year-old philanthropist, in 1996, he was appointed a Knight of Saint Augustine of Hippo by the Anglican Communion. In appreciation of the gesture, he immediately set up an endowment echeme for an annual award of bursary to indigent students of All Saints Church, Ogbonkowo, Ondo. The capital donated for the scheme was then N1million. The amount was to be fixed in a bank while the annual interest, which was initially high, was used for the awards. However, when bank interests declined and the number of awardees rose, High Chief Akingbule donated further N200,000 annually to augment the funds available for the scheme. scheme. His nephew, Sir Chief Ayo Akingbule, who is also the chairman of the board of trustees, donated N100,000 to the scholarship scheme in 1996. Encouraged by the results of the All Saints Church Endowment scheme, he set up High Chief Olabanji A. Akingbule Foundation in 2002, with a capital of N250 million. The dividend derived is used by the foundation to award scholarships to indigent but brilliant students of Ondo State origin. Currently the awards have been increased to N50,000 yearly for university students, N40,000.00 per student undergoing teacher training courses while secondary school pupils and handicapped students bag N30,000.00 each yearly. funds deposited with All Saints’ Church, Ogbonkowo, Ondo. The interest on the fund was used to give scholarship to indigent but brilliant students of the church. In 2002, the Sir High Chief Olabanji Akingbule Foundation was formed to focus on education, health, annual lecture and awards. “The foundation started the award of scholarship to minimum of 100 indigent but brilliant Ondo State students yearly since 2002. The 10th anniversary of the scholarship award comes up on October 6.
annual public lecture will be held on September 27 and the topic is ‘Preparing the youth for future leadership roles and responsibilities towards sustainable national unity and development,” The board chairman added that over 1200 students had been given scholarship since inception and that plans were on ground to increase the number and extend the coverage beyond citizens of Ondo State. He commended the founder, High Chief Akingbule, for a vision well conceived and well financed, calling on others who can afford such schemes to emulate the Odunwo of Ondo kingdom. He added that three notable persons from Ondo State would be honoured with award during the forthcoming annual lecture this month, and they include the Ondo State governor, Dr Olusegun Mimiko; the late Oba Festus Adesanoye, former Osemawe of Ondo kingdom and Mrs Helen Akinsemolu, proprietress of HOMAJ International School, Ondo, for their contributions towards the development of the state and the country at large. The awardees shall be given a token each and presented with plaques by the foundation to encourage them to do better. 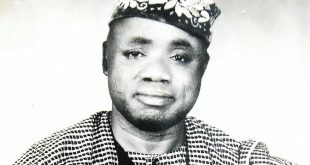 High Chief (Sir) Dr Olabanji A Akingbule was born at Chief Bapaiye quarter, Oreretu Street, Ondo, on October 2, 1925. 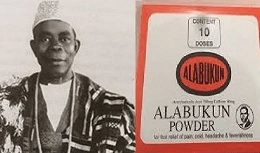 He started his primary education at St Stephen’s Primary School, Agbabu, in 1936 and completed it at All Saints Primary School in December 1942. He was admitted to Ondo Boys High School in January 1943, having been awarded the Ondo Native Authority bursary. He passed out of Ondo Boys’ High School in December 1947, having sat for the University of Cambridge (England) School Certificate Examination which he passed in Grade I with an exemption from London University Matriculation. One of his sisters, Madam Usiola Daramola, wife of Alhaji Amusa Daramola, a popular timber lumberer at Idogo Area of Abeokuta Province, predicted in 1948 that young Olabanji would travel to England to complete his Civil Engineering Course. To achieve this, she provided free food for him each time he returned to P.W.D School, Lagos for the six month course. This made it possible for him to save seven pounds a month from the eight pounds salary he earned. Thus when he returned to Lagos in 1952 for the final course he had made up his mind to travel to England for a full Civil Engineering Course having saved about six hundred and fifty pounds. He got admission to Acton Technical College, Acton London W3, where he did Advanced Level in Education in Pure Mathematics, Applied Mathematics, Physics and Chemistry. He arrived London with only six hundred and fifty pounds. 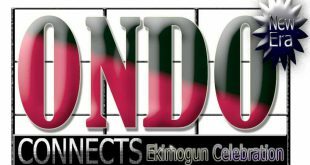 He had an assurance from his employer, Ondo Native Authority that it would continue to pay his salary while studying in England. His salary had risen to one hundred and twelve pounds per annum in 1952. Hotel, when completed, was 35 storey above ground level and five storey below ground level. 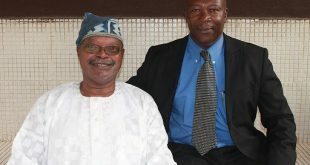 He attributed his success in life to the grace of God and the scholarship given to him by the government from Ondo Boys High School to degree programmes in Britain. He said standard of education is falling in Nigeria because standard of leadership is falling because of corruption. “Standard of everything is falling because of bad leadership. People think more of acquiring money illegally nowadays. In my youthful days, such things never occurred. For example, Ondo Native Authority gave scholarships to brilliant but poor students to Ondo Boys High School. In 1943, four of us were given scholarships, using merit and zonal arrangements. Out of the four scholarship awards by the authority, two went to Ondo area; one went to Ile-Oluji and the last to Oke-Igbo area. Fortunately, the leaders we had then were selfless. Leaders now are corrupt and are using corruption to stop corruption, and the process enlarges corruption. “I have properties and investments, and from them I have assigned a sizable portion of the income to finance the scholarship and the awards. I also set aside five million shares in Nigerian Breweries which annual dividend is used to supplement the funds the required. So, the future of the scholarship is bright and guaranteed. It is patterned after the Norwegian award, which is everlasting,” Chief Akingbule said. Speaking further on the award and scholarship scheme, Pa Akingbule said the recipients are exceptionally brilliant students with high academic performance and those who had performed excellently in their chosen careers, saying that the scholarships and awards were purely on merit. He said: “There are two kinds of awards: one is for indigent student based on excellent academic performance in school. The second one is a merit award and is also based on contributions to the course we believe in, that is education, health and leadership. So, this year, we chose to give the award to the Ondo State governor, Dr Olusegun Mimiko, among others, not because he is the governor, but because of his performance in office.